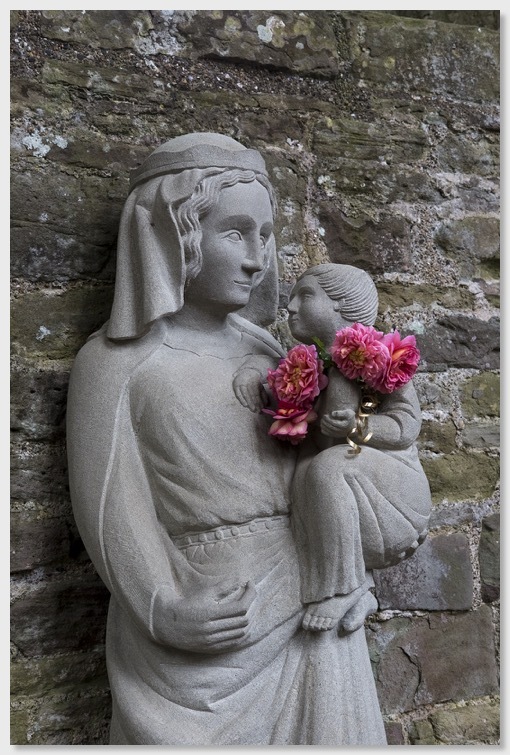 The Friends of Our Lady of Tintern is a group of like-minded people who were moved by the discovery of a 13th Century statue of the Virgin and Child in the Cistercian Abbey at Tintern. In 2009, we commissioned a sculptor, Philip Chatfield, to recreate the statue based on the remaining original pieces and this has been installed in the Abbey and is shown in the photograph below taken by David Hurn. We are an ecumenical group and welcome everyone to our annual Sung Vespers within the Abbey. We rely solely on donations and the support of the Friends.